Thanksgiving gives us a reason to reflect on what we are grateful for in our lives. Sports fans will also be thankful for Creed II off the field and a slew of entertaining games on the field. Thank you NFL schedulers for giving us the game of the year Monday night. The offensive shootout saw the Los Angeles Rams (10-1) survive the Kansas City Chiefs (9-2) 54-51. With 105 combined points this was the third-highest scoring game of all time. 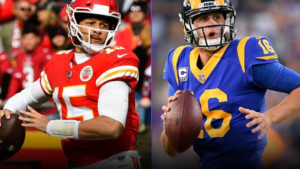 Both MVP candidate QBs Jared Goff (Rams) and Patrick Mahomes (Chiefs) were unreal combining for nearly 900 yards and 10 touchdowns. Side note: The game was expected to be played in Mexico City but the soccer field there that was supposed to host the contest was so chewed up that the NFL decided to move the matchup to LA. After all that LA has been through this was a nice distraction. Don’t forget about us. The other elite NFL team is the New Orleans Saints (9-1) who are destroying the competition. Their latest victim was the defending champion Philadelphia Eagles who were obliterated 48-7 Sunday. 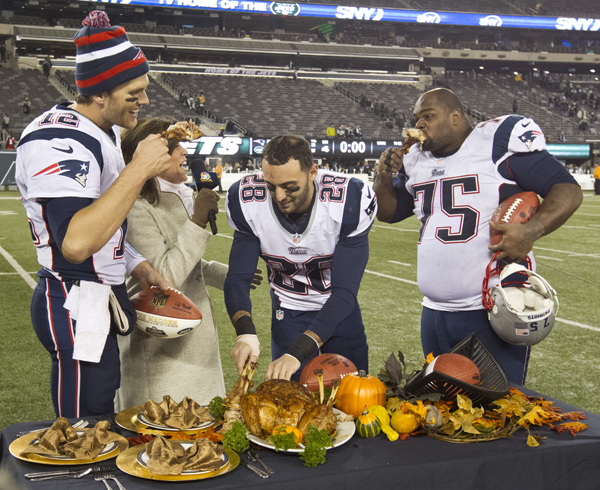 For many, Thanksgiving Day is just as big for football watching as it is for turkey eating. 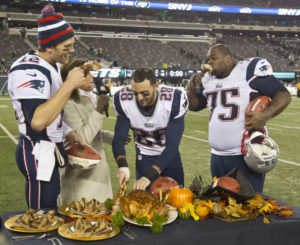 Here’s an image of a memorable past Turkey day. Trouble in paradise? 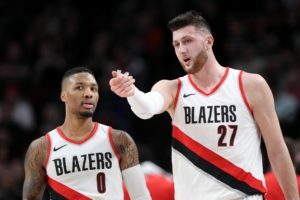 The two-time defending champion and overwhelming favorite to three-peat, the Golden State Warriors, had some infighting last week, lost a few games and now look mortal. The Warriors have until April to get it together but don’t look as invincible as they once did. 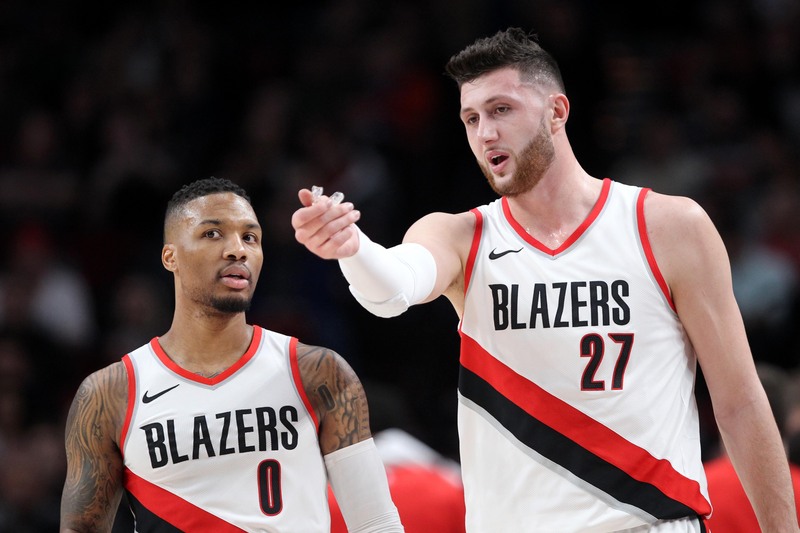 The Warriors were expected to run away from the pack in the Western Conference but the Portland Trailblazers and Memphis Grizzlies have other plans as they sit atop the conference with Golden State. The college hoops season is still young but Duke, Kansas, Gonzaga, Virginia and Tennessee remain unbeaten and represent the AP Top 5 teams.